When you’re planning to head to Cincinnati for personal or business reasons, you’ll likely be arriving by airplane. From the airport, you have numerous options. You can choose to rent a car, but if you’ve never been to this city before and don’t know your way around, that can be frustrating. After such a long trip through the airport and sitting on the plane, you should take advantage of the opportunity to stretch your legs (and your mind) and rely on the best Cincinnati bus rental company in the area. Nationwide Chauffeured Services offers exceptionally comfortable buses and limousines for just about any size group and need. If you’re planning to head to a conference, sporting event, or just going home after a trip out of town, imagine yourself being met at the baggage claim area with a sign advertising your name being held by a professional and courteous chauffeur, someone who can take your bags and guide you to the bus or limo. Suddenly all of that stress that accompanies travel begins to melt away. Then the moment you slip through the door of the Cincinnati limo service you hired, you’ll melt into the seat and begin to relax. You don’t need to rub elbows with strangers for an hour or more just to reach a general drop off area; you’ll be driven in comfort and style right to your office, hotel, conference, or other destination. If you’re part of a large group or family and need more space, or you want to head to the local stadium for one of the sporting or concert events you can choose from the best of the best in Cincinnati party bus rental services. 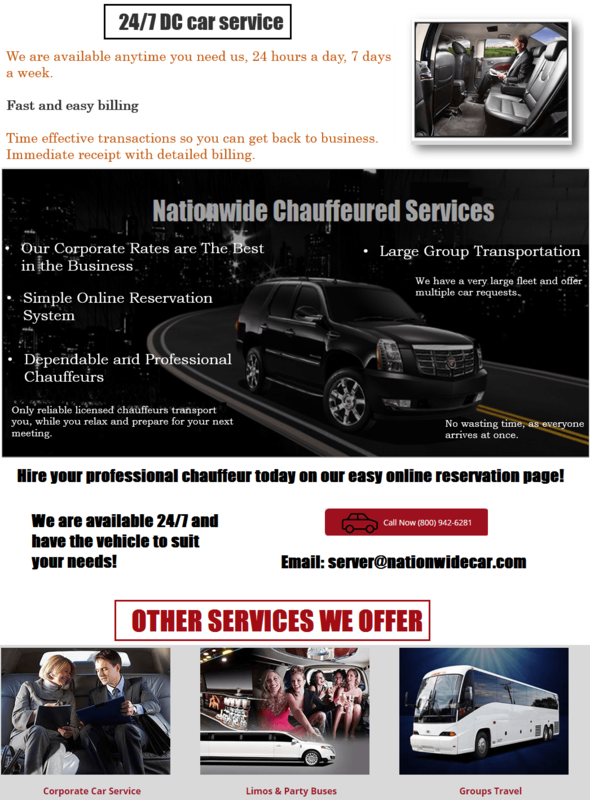 Nationwide Chauffeured Services stands at the top because of their commitment to comfort and professional and timely services. Call 800-942-6281 on us whenever you need a Charlotte limousine rental and bus or Cincinnati limo service in the Greater Cincinnati Area.